(a) Transformation T is a translation ( − 4 2 ) and transformation P is an anticlockwise rotation of 90oabout the centre (1, 0). 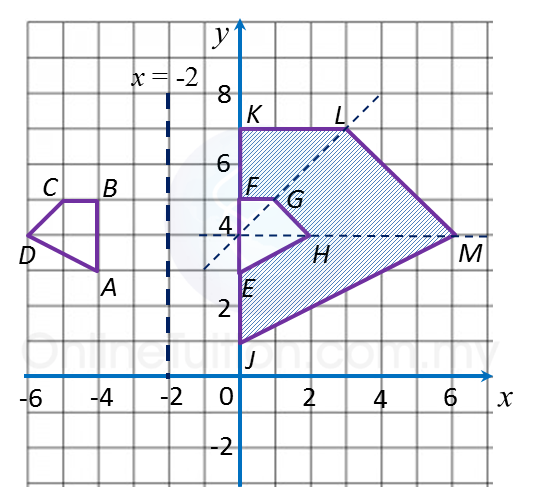 (b) Diagram below shows three quadrilaterals, ABCD, EFGH and JKLM, drawn on a Cartesian plane. (i) JKLM is the image of ABCD under the combined transformation VW. 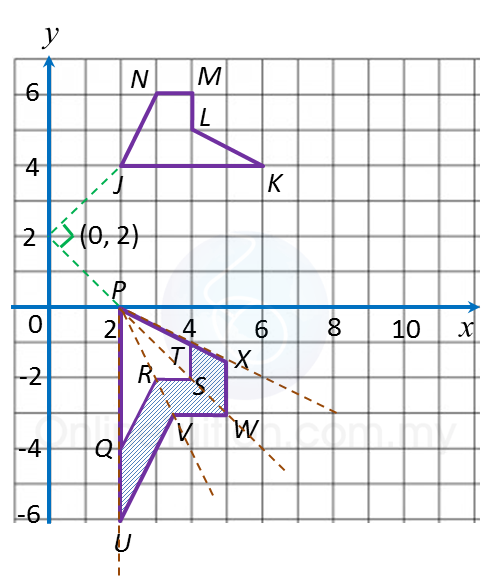 (ii) It is given that quadrilateral ABCD represents a region of area 18 m2. V: An enlargement of scale factor 3 with centre (0, 4). 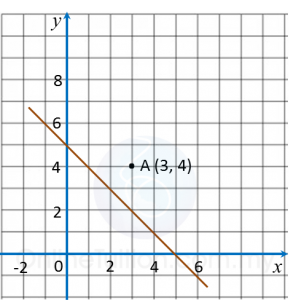 (a) Diagram below shows point A and straight line y + x = 5 drawn on a Cartesian plane. 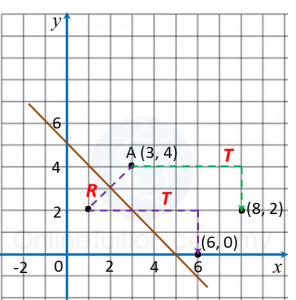 Transformation R is a reflection at the line y + x = 5. (b) Diagram below shows pentagons JKLMN, PQRST and PUVWX, drawn on a Cartesian plane. (i) PUVWX is the image of JKLMN under the combined transformation CB. (ii) It is given that pentagon JKLMN represents a region of area 80 m2 . Calculate the area, in m2 , of the region represented by the shaded region. B: A clockwise rotation of 90o about the centre (0, 2).